Although I have been dealing with unusual tiredness lately, I have been greatly looking forward to my new cookbook coming out, Ladled: Nourishing Soups for all Seasons. I have some giveaways planned for those preordering the book as a thank you! Preordering helps my book make more sales as bookstores (like Barnes and Noble) will order more books based on the preordering generated by my website. So, if you preorder the book, know that not only are you helping my book get more orders, but you will also have some special giveaway opportunities in the near future! Meanwhile, I wanted to do some Q and A’s that I’ve gotten from some of you about the book. Q: Are you going to release a recipe index? A: Sure! Here is the full list. There are a bit over 120 recipes. Q: Will you have many gluten and dairy options in the book? A: Yes! My daughter is strictly both, so almost all of the recipes have at least gluten and dairy-free options, if they weren’t already. I’ve done the book like this blog, where I expect those that need gluten-free options to use the gluten-free options. For example, I will call for soy sauce or tamari. If you need gluten-free, use the tamari. Q: Does the book have many GAPS recipes? A: Yes! 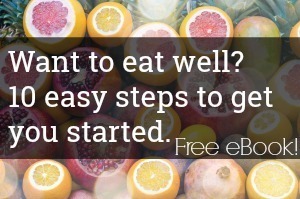 Although this is not a GAPS cookbook, there are many recipes suitable for the GAPS diet. I also offered easy suggestions for making a soup GAPS-Friendly when it wasn’t on many recipes. This would also mean that there are Paleo recipes as well. Q: Does the book have vegetarian recipes? A: The short answer is yes. The long answer is that I started this project because of my love of nutritious homemade bone stocks, like chicken stock and beef stock. However, I also know even omnivores sometimes do well with a meatless diet for a time period. With that in mind, I developed some delicious homemade vegetable stocks. I really love them, examples include Roasted Vegetable Broth, Mushroom Broth, Herbed Garlic Broth. And many of the vegetables are suitable for a vegetarian diet. It’s not the focus, but there are recipes that are certainly Vegetarian (including some of my favorites!). And I think that the vegetarian recipes can be enjoyed by both vegetarians and meat eaters alike. If you have any other questions, please let me know! I can answer them below. I can tell this book will quickly become a staple in my kitchen, just like Fresh is! So glad you like Fresh! I *think* that Ladled is even better. 🙂 It’s longer too! Photos make such a difference in a cookbook – yours are amazing! Thank you for sharing. ordered! this looks wonderful. i can’t wait to try the recipes….do you have an idea of when it will release? I am still waiting to hear from the publishers on the official release date, but it should be soon! I want to get BOTH in hardcopy with Ladled is ready! I hope you may have a special when someone buys both! That is a good idea! Unfortunately, we self-published Fresh and Ladled is through Victory Press, not really allowing for us to give a joint deal. But Ladled is selling for a good price on Amazon! Will there be a picture for each recipe? I like looking at a picture before I cook. Thanks! Wow, this looks fabulous! No wonder you are tired! You probably work in waves – of genius and hard work followed by collapse! You are too kind. 🙂 It didn’t help that the last two months of working on the book both of my daughters had a terrible cough that kept one or the other up half the night. Finishing a book in the middle of no sleep equals one tired mommy! Congratulations, Kimi! You have developed a special, unique cookbook. A picture with each recipe is fantastic! Looking for how to pre-order. Where is it? you an order on Amazon. I put a link in the post above at the top of the page. Sorry about that! I can’t believe you managed to make all these recipes, perfect them, and get them in a book with TWO kids! Congrats, Kimi. Everything looks lovely. I just pre-ordered from amazon! The book looks amazing! My husband is a soup fiend and says that he could eat soup every day, even during our 100-degree Texas summers (although I don’t often indulge him in the summer on this). This will also help me stay pointed in the right direction for meal planning, too. I’m so glad there will be pictures for every recipe, too. YUM!! I’m figuring out how to pre-order your book … not only do I want your orders up, but I’m hungry! Kimi – I don’t know if you can do this or your publisher can do this – but when I search for the word ladled – your book doesn’t come up high on the list – I have to scroll to see it & when I do – it’s a link to your website announcing the book – not a link to Amazon where it is sold. And when I searched for ladled & Harris, I still didn’t come up with the Amazon link. I know there is something called “search engine marketing” – but that’s all I know. Maybe someone could look into getting some search terms coming up higher. Thanks for letting me know. On Amazon, if you search, “Ladled and Harris” it should come up….As far as google in general, hopefully that will improve once people review my book online. This just looks so delightful!!! So proud of you 🙂 Can’t wait to get to try the recipes.